To the west of the Santiago de Cuba center you’ll find the Cementerio Santa Ifigenia, Cuba’s second largest Cemetery after Havana’s Necropolis Cristobal Colón. Founded in 1868 , its primary purpose then was as a resting place for victims of the War of Independence and then the later massive deaths relating to the yellow-fever outbreak in the Caribbean. 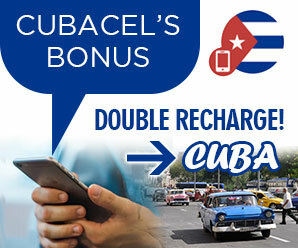 Cemetery Santa Ifigenia simply cannot be missed if you wish to look into Cuba’s interesting past. The Cemeteries +8000 tombs simply pack into small location, including tombs of a great many historical figures, notably the mausoleum of José Martí. Popular tombs to visit include; Tomás Estrada Palma (1835–1908), Cuba’s first ever president, also the famous rum baron Emilio Bacardí y Moreau (1844–1922). María Grajales, the widow of Cuba’s independence hero Antonio Maceo (after whom the Santiago de Cuba Airport is named). Further adding to the long list of the famous deceased are the Spanish soldiers who died in the battles of San Juan Hill and Caney. Those ‘martyrs’ of the 1953 Moncada Barracks assault Frank and Josué País. Also the renowned father of Cuban independence, Carlos Manuel de Céspedes (1819–74). A more recent Cuban superstar is the international music celebrity, Compay Segundo (1907–2003) of Buena Vista Social Club. 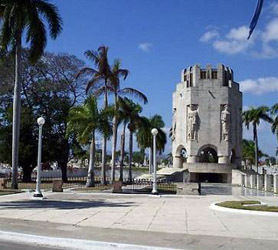 The crescendo drum role of the cemetery’s “best bits” is the religious mausoleum of the national hero José Martí (1853–95). Built in 1951 during the Batista era, the powerful hexagonal structure allegedly positioned so that Marti’s wooden casket (which is draped in a Cuban flag) gets daily shafts of sunlight. The entrance to the Santa Ifigenia Cemetery is just 1 peso and is well worth a visit, however morbid it may seem.